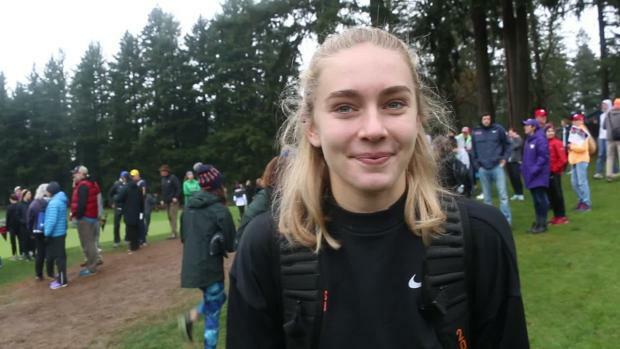 After NXN 2017 I didnt think NXN 2018 could possibly be any better, but it could and it was. Just like I had a year before, I walked out of the airport and climbed the stairs to the bus thinking once again "Wow this bus is huge." Some things just never change, I guess. But the one thing that had changed was not with the bus, it was with me. 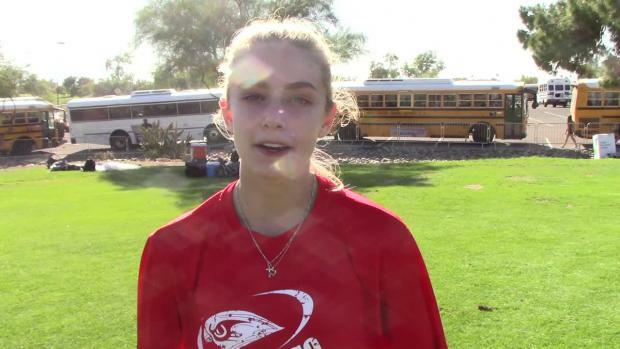 Though getting on a bus with tons of fast kids was intimidating, I thought to myself "I deserve to be here." It was this mindset (along with some cool gear and great teammates) that made NXN 2018 better than the year before. At Nike Headquarters we were greeted with the classic Nike Cross "X" statue, and the Nike Cross Nationals billboard. I was surrounded by the fastest, most accomplished high school runners in the country along with amazing coaches, incredible facilities, and supportive Nike staff. If first impressions were all that mattered, Nike aced the test. Gear up was just as exciting, as we walked into a dark auditorium and were met by a row of individualized lockers filled with shoes, tights, uniforms, and backpacks. Then it was off to the athlete lounge to personalize our backpacks, test out the NormaTec boots, and go for a shakeout run. Exploring the Tiger Woods Center on Nike's campus was exciting but the outside was bigger, greener, and generally more impressive: a true runner's playground. 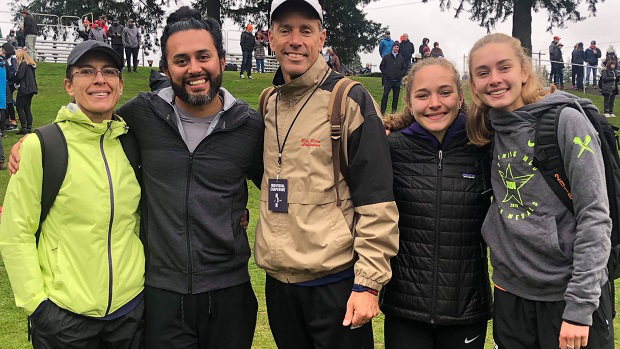 We visited the iconic Michael Johnson track, streaked past the Mia Hamm building, cruised the softest wood chip trails known to man, and enjoyed a beautiful Portland sunset at the end. Then it was off to dinner and opening ceremonies to hype us up for the next two days. Day two was a day of preparation. Our morning was consumed with course maps, pre-race runs, strides, relaxation, and visualization. We spent the morning analyzing strategies and going over race day tactics. When we were not out on the course, we were inside the Athlete Village rolling, stretching and stocking up on tattoos, spikes, pre-wrap, and, of course, food. After arriving back at Nike WHQ we attended an Elite Athlete Q and A where us high school athletes had the opportunity to ask some Nike athletes our burning, running-related questions, such as "Shalane Flanagan, what's your favorite dog breed?" And of course, "Matt Centrowitz, do you remember me?" All in all, it was an informative and very fun day, but obviously not more fun than day three: Race Day. After waking up at 6:00am and forcing down a piece of toast, the ride over to Glendoveer Golf Course was silent. Nervous energy filled the air as everyone was focused intently on the scenery passing outside their window. The entire season had come down to this day. 12.01.18. 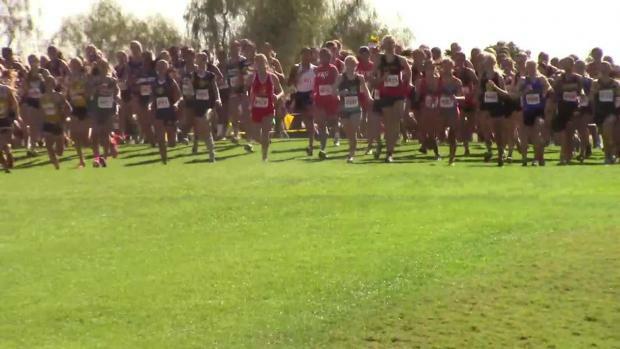 Nike Cross National Championships. It was finally here. We streamed into the Athlete Village and shoved our backpacks into our lockers, too nervous to care about being gentle. Some athletes wore headphones, others elevated their legs, while still others stretched, or just paced in an attempt to shake some of the nerves. When it was finally time for introductions, we left the friendly warmth of the Village and stepped into the chilly Portland air. Clacking our way along the cart path to the introduction area we held hands with our teammates and approached the line. After introductions we jogged hurriedly down to the start line to double check our spikes and do our final strides of the season. Within minutes… BANG! We were off. A streak of colors and a whirlwind of shoes, cheers, and fast braids was off sprinting down the fairway. In less than 20 minutes we would all be across that finish line, heaving, exhausted, and crying tears of joy, pain, and relief. The race was over before I knew it and as predicted the joy, pain, and relief were all present. But I had fulfilled Nike's famous mantra: I had finished on empty. 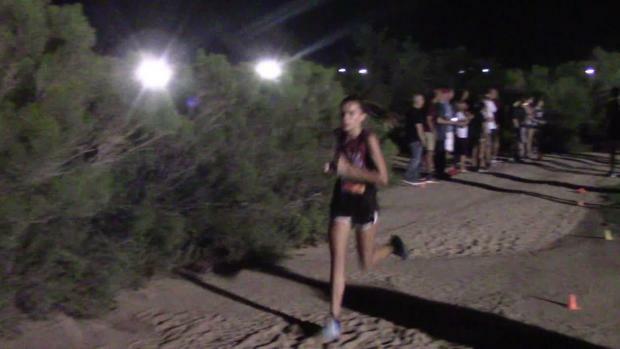 My Nike Cross Nationals 2018 experience was a success, and I had an All-American title to show for it. Back at the hotel we were met with a buffet of all things wonderful. Chicken strips, loaded baked potatoes, macaroni and cheese, and ice cream bar were waiting for us and it did not disappoint. Stuffed and exhausted we headed up to our rooms for a quick shower before heading back to Nike for one last visit and an evening of celebration. Closing ceremonies was the perfect ending to a perfect weekend. Awards were presented, selfies were taken, and videos were watched as every athlete was reminded of just how far they had come this season. 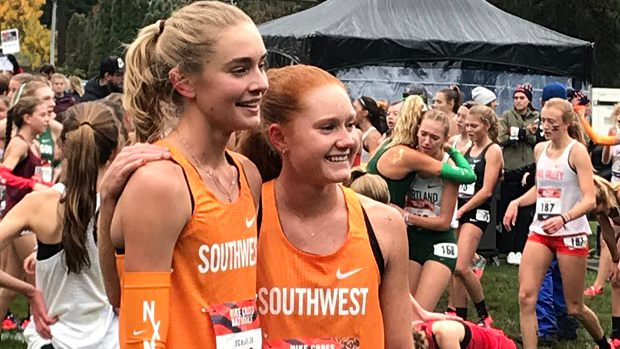 NXN was the perfect way to cap it all off.